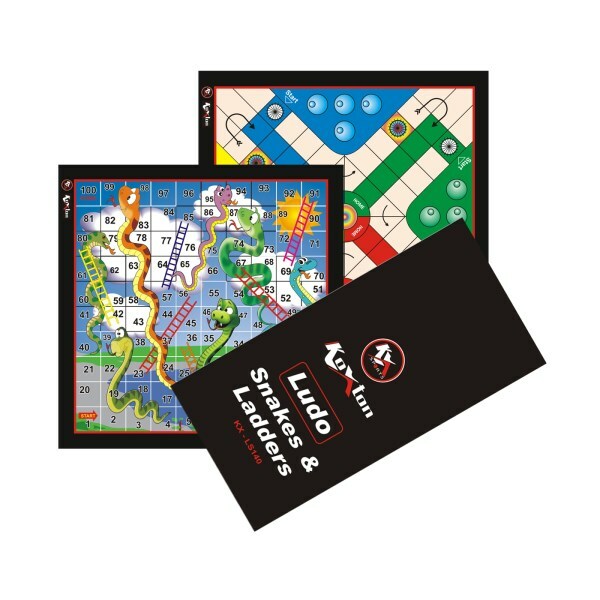 Good quality laminated Ludo, Snake & Ladder comes in loose packing in two different sizes 11.25" & 14.25" with good quality printing & board. KX-LS110 Ludo, Snake & Ladder 11 Inch, Made of PVC and Comes with Coins. 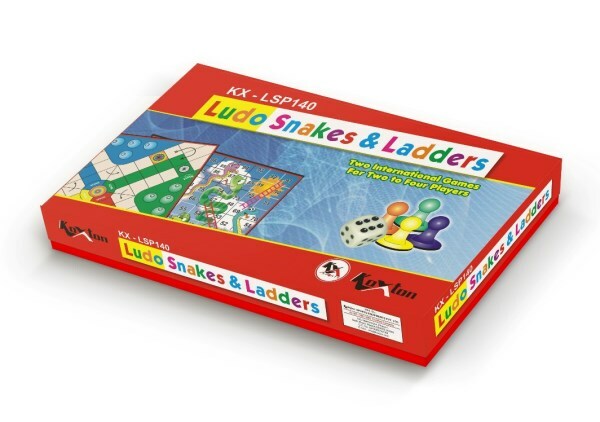 KX-LS140 Ludo, Snake & Ladder 14 Inch, Made of PVC and Comes with Coins. PVC coated good quality two fold ludo snake & ladder comes in nice box packing with coins and dice. Comes in two different sizes 11" and 14". Good quality laminated chess boards comes in loose packing in two different sizes 11" & 14" with good quality print and board. 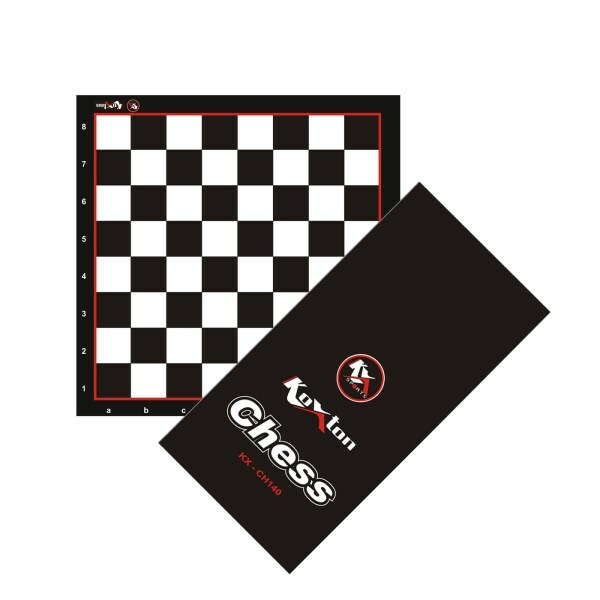 KX-CH110 Chess Board - PVC, 11 Inches. 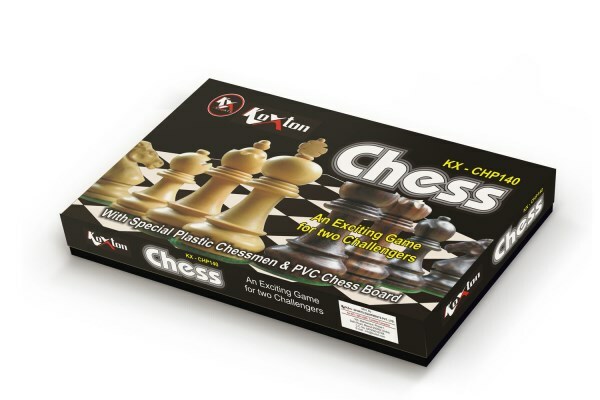 KX-CH140 Chess Board - PVC, 14 Inches. PVC coated good quality single fold chess board comes in a nice box packing with good quality chessmen (Magna or Leisure). Comes in two different sizes 11" and 14". PVC coated cover with nice printed board comes in a box packing with all accessories like currency (Paper Money) and coins with nice colourful dice. Size is 14". 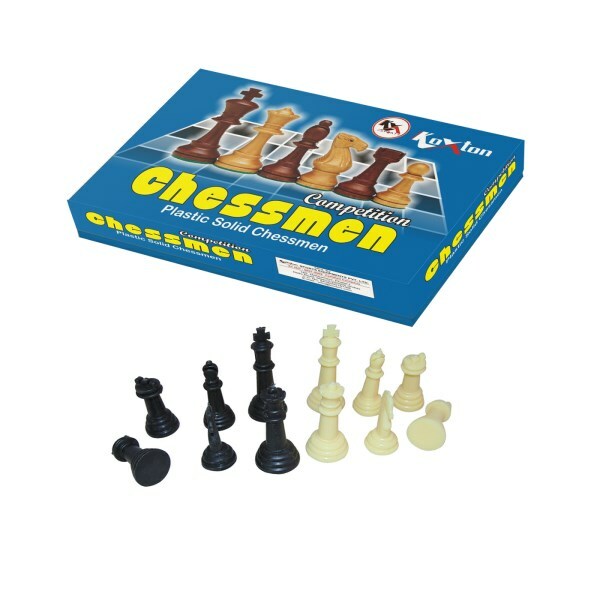 Good quality plastic chessmen king size 6.5 cm solid comes in a nice box packing. 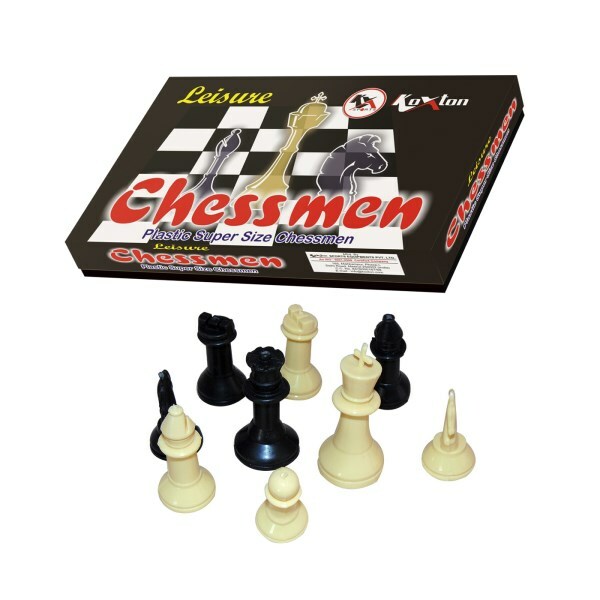 Good quality plastic chessmen king size 6.25 cm hollow comes in a nice box packing. Contents of Bingo Cage Set: 1 Metallic Bingo Cage, 1 Recessed Plastic Tracking Board, 90 Colourful solid plastic number balls. Special Features: Durable strong metallic Bingo Cage Approx. basket ball size Bingo Cage Unbendable plastic Tracking Board Suitable for Big Events, Clubs and Kitty Parties 1 Metal Cage Plastic Coated, 1 Tracking Board & 90 Number Ball. Why Koxton Board Games ? 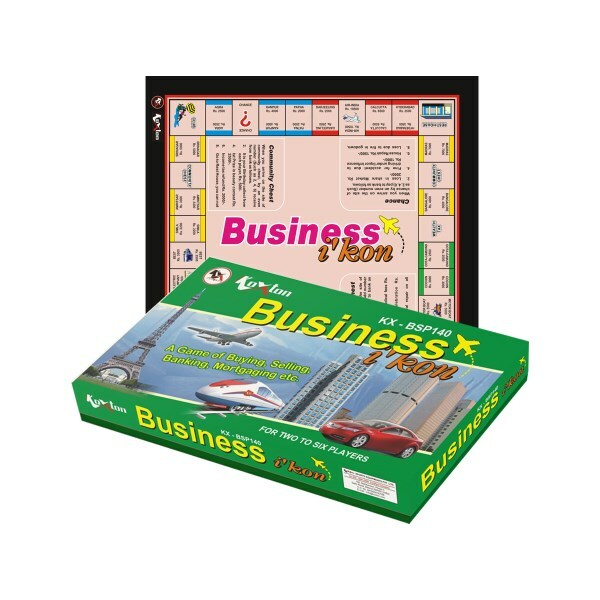 Buy Online Board Games Products |Koxton Sports We at KOXTON have a long manufacturing experience for different kind of Board Games like - Carom Boards, Chess, Snakes & Ladders, Business Games, Crossword and much more. With a wide range, good quality and reasonable prices, our products are widely recognized by customers. Our excellent management and strict quality system bring us steady and stable market shares and ensure KOXTON to develop further and better.